Regent mitre Vexillum regina, copyright Rokus Groeneveld. 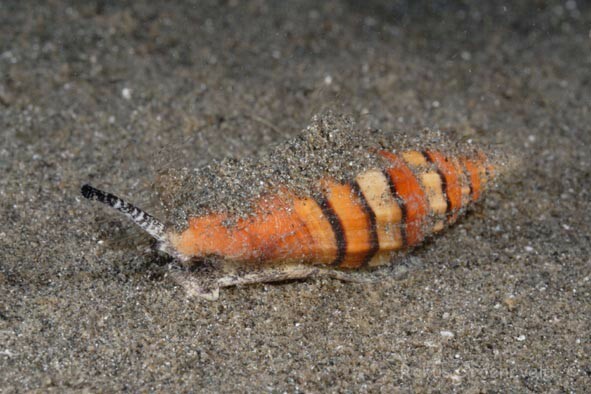 The Costellariidae, ribbed mitres, are a group of predatory gastropods with shells resembling those of the mitres of the Mitridae but with strong axial sculpture. 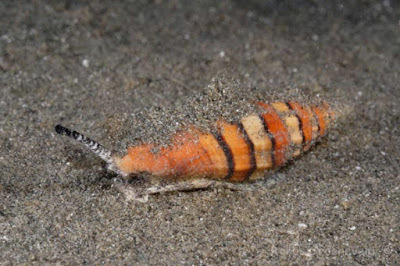 They prey on other molluscs that they kill with a poison secreted from accessory salivary glands.